Do flyers work? Long before the days of the internet, business owners had to find creative ways of getting their message across and reaching large amounts of people. Flyers act as a salesperson for your business and there are many different ways to deploy them. You can distribute them residentially, hand to hand, or business to business. Flyers work even better in the internet age. When people go online they’re doing research for the products they want through Google and other search engines. This means that when they’re looking for something specific, they’ll get a whole page of options. This decreases your chance of standing out and getting their business. First, you have to do a ton of work or dish out a ton of money to show up on the first page of Google. Second, you better hope they choose you over your competitor! With flyers, you won’t have to compete for attention. 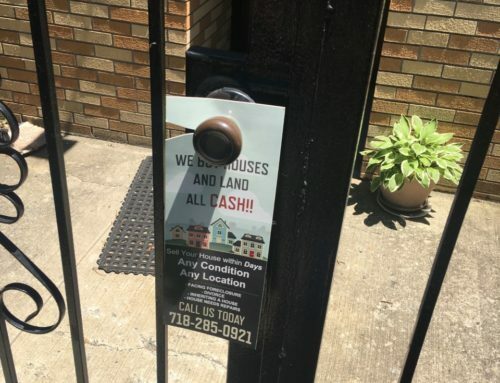 Let’s say you hand out flyers to the houses surrounding your business. Your customer gets to their home and sees it on their front door. Their attention is solely focused on your flyer, not on the multiple ads being thrown in their face. Who Should Advertise With Flyers? Virtually any business owner can use flyers to promote their business. Event promoters, singers, artists, and many other kinds of professions can also benefit from this type of marketing. These are just a few of the types of businesses that can benefit from flyer marketing. Depending on the type of business, you may be interested in residential distribution or street promotion. Marketing and advertising, in general, is a numbers game. The goal is to reach as many people as possible in order to generate the most amount of sales/customers. The more people that see your message, the higher the number of customers you can expect to attract. 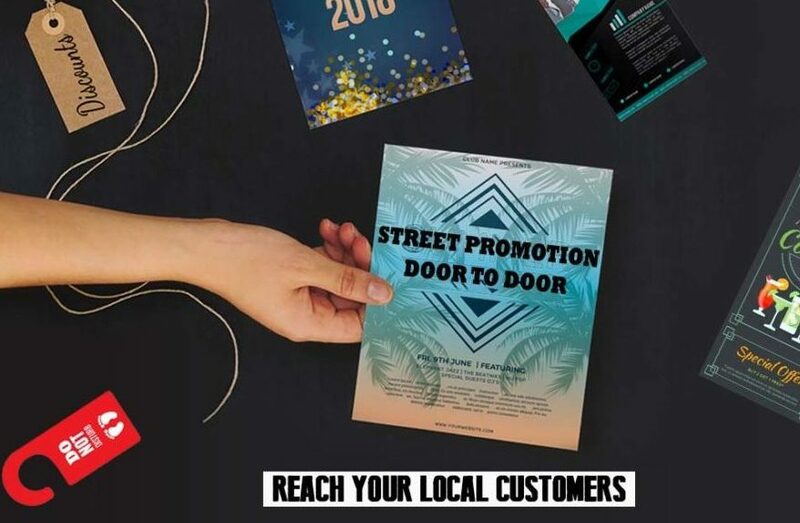 Let’s say you send out 10,000 flyers through street promotion. This mean’s you’re handing out flyers in high foot traffic areas. Suppose the campaign is only 3% effective. This means out of 10,000 flyers handed out, you’ll get 300 interested customers. Now, not everyone that is interested will go on to make a purchase, so let’s assume you’ll only be able to convert 25%. That means you’ll still get 75 paying customers. When you factor in the costs of sending out 10,000 flyers, you can start to see how massively profitable this type of marketing can be. Not only is it profitable in the short-term, but extremely profitable in the long-term. Let’s say out of the 75 customers you got from the campaign only 10% become lifetime customers. That’s 7 new customers for life for a very low cost. Keep in mind these numbers were on the conservative side. Some flyer campaigns can generate conversions of 5-7% if the offer is good enough. Advertising with flyers locally is one of the most targeted approaches to marketing. What you’ll do is target a specific zip code and then route the area to find out how many residences there are. Direct mail is a targeted approach that allows you to deliver your message using the post office as a courier. A few problems arise when you go this route. Direct mail is often very expensive as well as having a very low conversion rate. It’s low because your ad is competing with items of importance like utility and credit card bills. More often than not your ad will end up in the trash WITHOUT being looked at. Residential Flyer distribution is much more effective. Consider this, you walk to your house and you see a flyer on your doorknob. Chances are you’re going to remove it and you’ll look at it for at least 1 second. Think about the percentage of people that will see your ad. Door hangers have been known to convert the highest out of any direct advertising medium. Not even online marketers can boast the numbers you can get from door hangers. Another approach you can take is to target the high foot traffic areas around your business. This works well for restaurants, tax offices, or any event promoter. This is one of the most powerful forms of advertising you can do because you’re directly interacting with your potential customers. You’ll have someone acting as your brand representative and engaging vocally with people while handing out your flyers. The fact that you have that human interaction escalates your brand’s image in their eyes. Not only that, but your flyers start to work more efficiently. Most people think that there’s going to be tons of wasted flyers in the trash. That may be true, but not entirely. There’s going to be people who won’t take a flyer. That’s fine. They wouldn’t look at it anyway and probably wouldn’t make a purchase either. The people that DO take a flyer will glance at it briefly, for a second. That’s our chance to hook them. Event promoters would benefit from this type of distribution outside of popular venues or college campuses. This type of demographic targeting is what’ll increase response rates in the campaign. The design is the most important part. It can be the difference of a 1% conversion rate or a 5% conversion. This can equal out to 100-500 customers simply from a better design. Here’s the thing, you NEED to give value in 2018. There’s just too many people out there trying to get in front of your customers and they’re willing to come at a loss. The best flyers are some sort of coupon. People love to feel like they’re getting the better end of the stick and so a coupon represents a deal they don’t want to miss out on. There are a few critical elements to a well-designed flyer which will help you convert better. The headline should be the main focus when designing. A copywriter would be able to help you come up with this. They write ads for a living and they know how to elicit a response just from the headline. There’s a 1-second window when someone picks up your flyer and finds out what it is. A headline should qualify your customer. It should relate the message that “my product/service is specifically for YOU”. If you were trying to get new daycare clients, you’d have a message saying something along the lines of “Looking for a reputable Daycare in the neighborhood?”. What this does is that it grabs the interest of those that are able to buy from us. Now you’ve got their interest. You’ve got to make them an offer they can’t refuse. Maybe you’ll give them a discount on their first month, no obligation. Whatever it is, you have to have an offer and a price. This way it’s either a yes or no from that point on. They don’t have to call and find out how much it is. They know what they’ll be getting right from the start. That last part of this is to include a time limit. They have to act fast or they’ll lose out on the offer. This is going to people that were originally on the fence to go ahead and make the purchase. I put the image last because it isn’t as important as the headline and the offer. The image shouldn’t be a distraction and you can honestly do without it. Any copywriter will tell you that the words you use will have a much higher impact on the customer than any picture. Try not to spend too much time or effort on coming up with a great picture to use on your flyer. The design is second to its performance. Flyer marketing is one of the best forms of direct marketing. You can reach customers face to face or residentially where your competitors aren’t advertising. 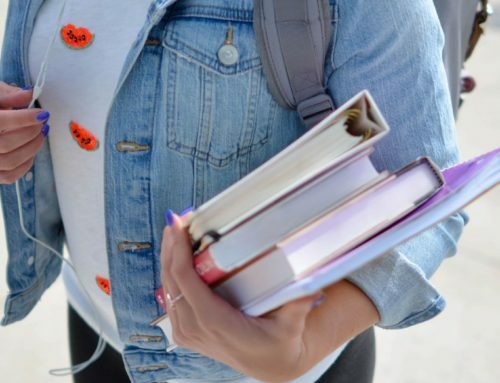 You’ll command 100% of their attention and will be able to yield better results because of this. An important thing to note is that anyone campaign won’t bring you the profits you’re looking for. Drip marketing or consistent marketing is what’s going to boost your conversions. Statistics show that there are people that’ll make the purchase on the 5th attempt. This means that you’ll have to send out 5 rounds of flyers to them before they go “what the hell let me try it”. The takeaway is that any company that wants to be successful has to find create channels of reaching their customers. Flyer marketing has proven to be tried in true in all of these respects and still continues to demand respectable conversions. If you’d like to get started on a flyer marketing campaign, please contact us here and we’ll get back to you promptly.